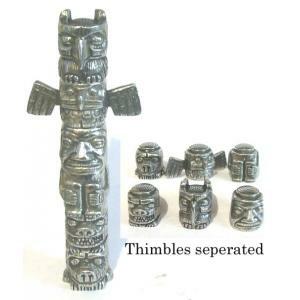 Totem poles are huge sculptures carved from large trees, mostly western red cedar. They usually told a story, and had animals and mythical figures associated with the families that carved them. 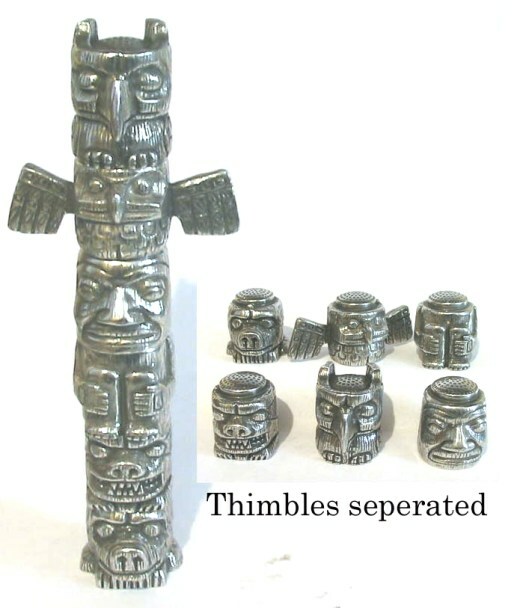 This set of polished pewter thimbles would make a great gift for anyone interested in North American or Canadian history, or a unique addition to your thimble collection.